But was left totally whomped. The last four formed something one could beat. It was such a conUNdrum! He bent down on all fours and peered under the bed. It was not there. He checked under the cushions, on the sofa and searched with his fingers in the gaps in between but was disappointed. P then took a moment to mentally track what he had exactly done on getting home with his shopping last evening. Both his hands had been loaded with his shopping bags that he had taken from the boot of the car and he had barely managed to open the door to enter the house. He had dumped his shopping on the dining table as was his usual way and had then stretched out on the sofa to watch some TV. It was only much later that he had unpacked and sorted out his shopping after which he had had his dinner and retired to bed.
. Fate however seemed to be conspiring against him. The key had mysteriously disappeared and P was nearly in tears with frustration and worry. Frantically he searched through the ledges of a book shelf which housed several spiritual and mystical books that he had collected over the years to help him in his inward quests. He had not bothered to read them and had only kept them dusted once in a while. His anxious and fumbling hands dislodged some books and one fell on the floor. P picked it up to put it back in its place. The book was one that he had borrowed from the library and it was all about mantras and mystical powers. P was quite in the habit of turning to God and the mystical when everything else failed. However the only mantra P knew was “Om” and as a last resort, he decided to go to the car and try it out. He put his hand on the door handle on the driver’s side and pulled it. It opened magically. Excitedly P got in and sat on the driver’s seat. He held the steering wheel tightly with his fingers and closed his eyes. He then ran his hand down the side of the steering wheel and P muttered a loud “Om” as magically his fingers touched the car keys lodged in the slot there! P could never decide whether it was his mystical mantra or his absentmindedness that had brought the key to its slot in the car! It was all such a mystery! “So, what story are you going to tell me today, Mr P?” asked the kid. P had his own secret name for the boy and it was Dennis the Menace. There seemed to be a lot in common between the kid and the cartoon character. Usually P gave him a wide berth, but today, however, his parents had asked P’s help to look after him while they took their younger one to the clinic. The baby had been crying all night and the parents had decided to seek the doctor’s help. P had agreed to look after Dennis because he had some time on his hands and there were plenty of packets of Maggie noodles in the pantry. P had a theory that most kids seemed to like Maggie noodles… The little menace in front of him, also it seemed, was very fond of noodles… If it hadn’t been for the noodles, P would not have agreed to take on the responsibility of looking after the kid and giving him lunch as he had no idea about what to cook to keep the boy happy. “Mr P… Didn’t you hear me? What story are you going to tell me today?” asked Dennis. 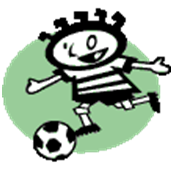 The boy had wanted to play football inside the house and P had dissuaded him from it with the promise of a story. However, nothing was on his noodles other than the thought of how noodles were going to save his day. “Well, how about a story on how noodles came on earth?” asked P.
“Don’t be stupid Mr P. Noodles did not ‘come on earth’. They were made on earth,” the boy pointed out. The kid nodded and sat down on the carpet next to P.
“Must have been very yum… What was it exactly?” asked Dennis, his eyes alight with vicarious satisfaction. P smiled and looked at the little boy’s face, but did not see much of a reaction. “You must be hungry now. Let me cook lunch for you. 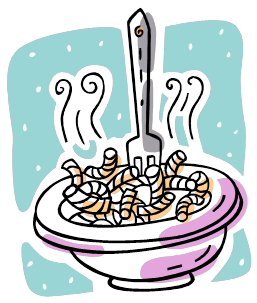 Shall I cook some Maggie noodles?” asked P and was happy and relieved to see the eager nod. P mentally thanked God and Maggie noodles for saving him from cooking something else that would have demanded more time and effort. “Oh! 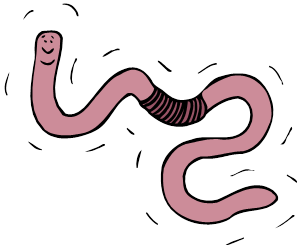 They were earthworms that were in plenty around the fertile banks of the river” said P and noticed the sudden nauseous look on the boy’s face. “Can I please have something other than noodles, Mr P?” he asked squeamishly before he doubled over and was sick on the carpet. There went P’s best laid plans! 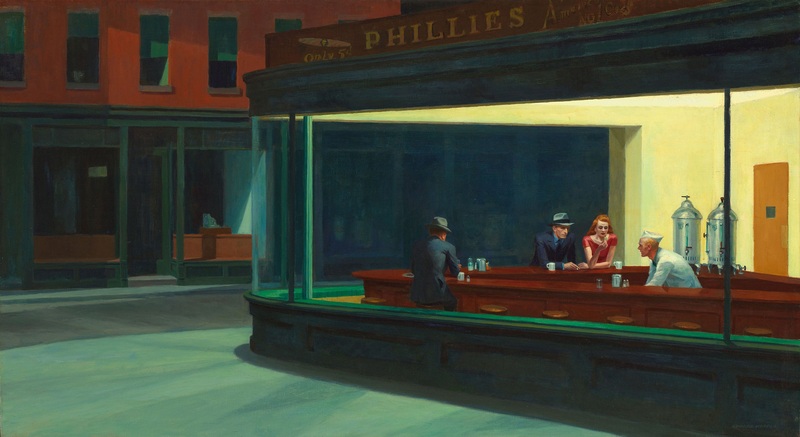 In today’s writing challenge, you’ll choose a scenario (or invent your own) and write a poem, a short story, a vignette, a scene, or flash fiction based on Nighthawks by Edward Hopper. Soda man: “You folks shouldn’t fret too much. His home is on the other side of the town. When he reaches his home and hunts for the house keys in the bag, he will realise that he has the wrong bag and will scramble back here in a jiffy”. Be careful he could use your tooth-brush too! A quirkier person, can’t be found. And Monday took a long time to dawn! And Monday to Friday sped in the blink of an eye! Settling back to work on Mondays, was very painful and hard for Mr P! It is well known that a lot of people suffer from Monday blues. 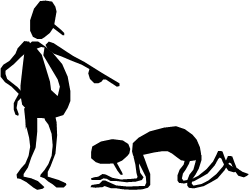 Some people can be mean and grumpy for being necessitated to put an end to the joys of the weekend and get to work. “This will have a negative impact on the productivity of others besides themselves”, thought Mr P.
“Then one surely must have Fridays off too”, P thought. He strongly believed that not much work gets done on a Friday anyway! People like him get so tired by Friday and are so eager for a break by then, that all what gets done on a Friday is just planning things for the weekend…. Such as whether to go to the Mexican restaurant and have Tacos, Nachos and Burritos or to ‘Cubby’s sports bar and grill’ for sweet potato fries, fried chicken and Long island iced tea for dinner. 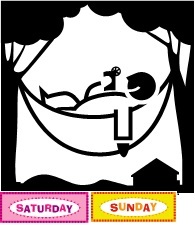 Plans had to be made for Saturday and Sunday as well such as whether to go to ‘Papa John’s or MacDonald’s for lunch and whether to spend the days outside in the hammock with his favourite tipple or inside watching movies…There were so many important decisions to be made! So why not have a holiday on Friday as well? 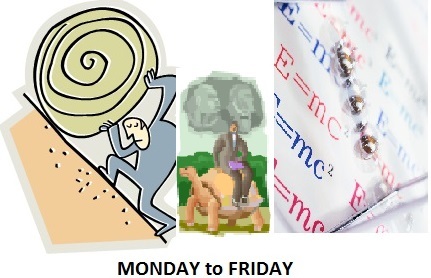 P aspired for long weekend holidays for every week in the calendar. Mr P would have liked Wednesday to be a holiday as well. “Does it not make perfect sense to have a day off in between the two working days? Wouldn’t that keep you fresh and eager to work on Tuesday and Thursday?” he thought. It all seemed logical and ideal to P till he realised that he still would need his pay check to cover all days of the week, and for that, his boss needed to be convinced……..